A popular boy who aspires to become a filmmaker and an average girl who loves to paint most definitely have feelings for each other, but they would each rather distance themselves than express those feelings. When all they want to do is touch hands, this hesitation instead leaves them 10 centimeters apart (on average). 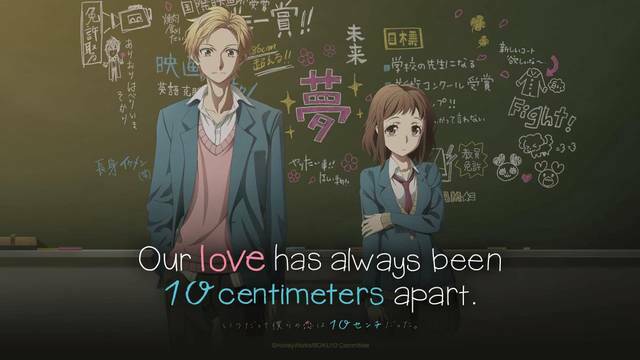 This short anime series is part of a series of media based on music by HoneyWorks, a band who primarily composes music with vocaloids.